I know. This sounds weird. Don’t be afraid. This is my at-home version of a salad at a local organic place next to my yoga studio. 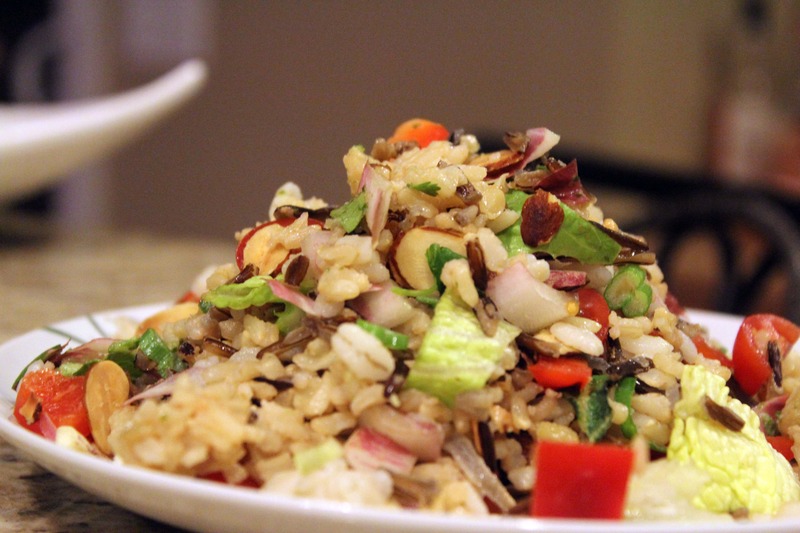 It’s got veggies, various grains and rice, and killer dressing. It’s fresh, light, and you. will. love. it. Trust me! 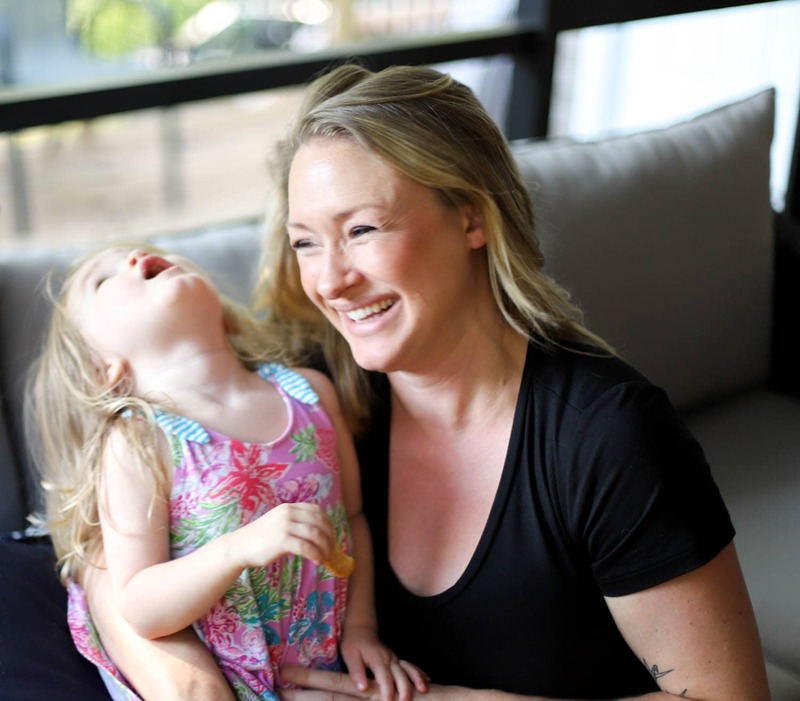 You can make all the components and then mix up whatever combo of veggies and rices you like – it’s great to have around for lunches, snacks, light dinners….whatever! Basically, you cook a few different kind of grains, then chop up some raw veggies. 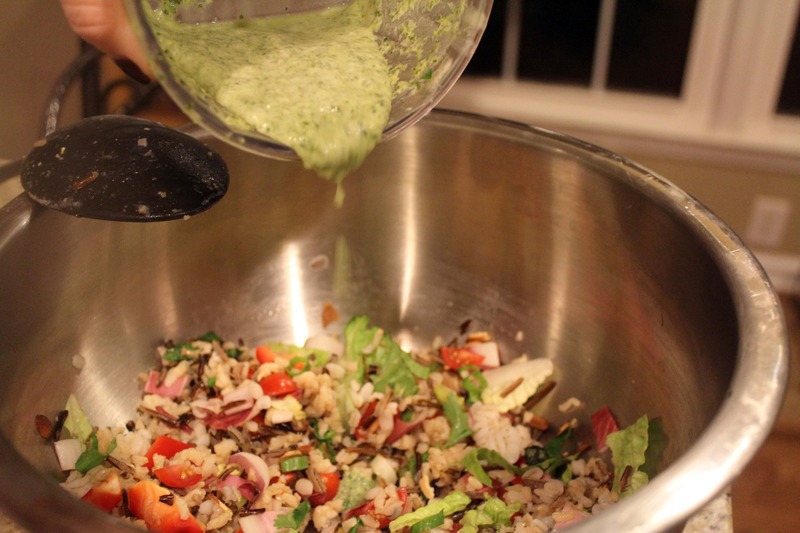 Then you make a creamy light cilantro dressing that is SO good. Then you toss it all together with some nuts and cheese and be grateful that you have access to yummy fresh stuff. So basically, you can use any grains you like. I like the combo I had here, but quinoa, farro, spouted rice, or even couscous would be wonderful here! 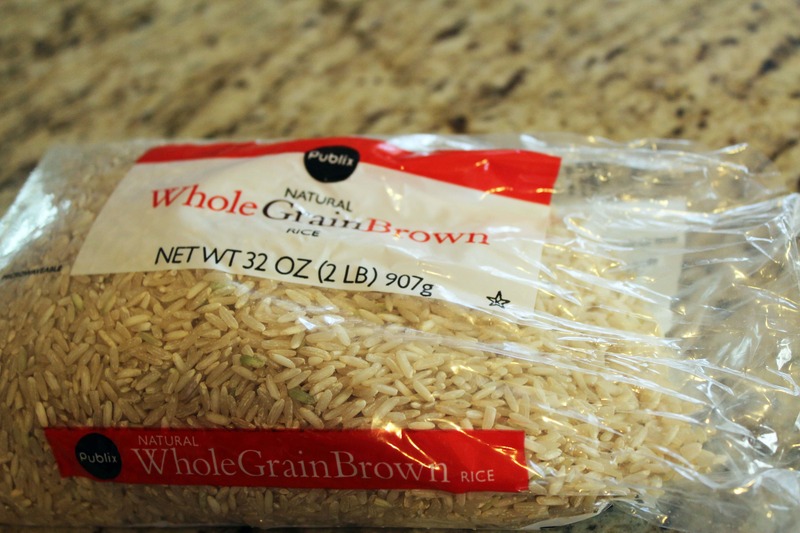 Cook the grains separately per the package directions. 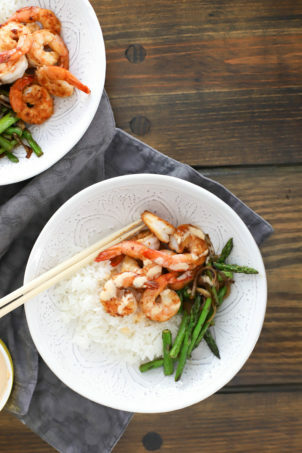 You can do this way in advance and keep them at room temperature or in the fridge for a few days – it’s totally delicious even if the rice isn’t freshly made! Wild rice takes a long time to cook. 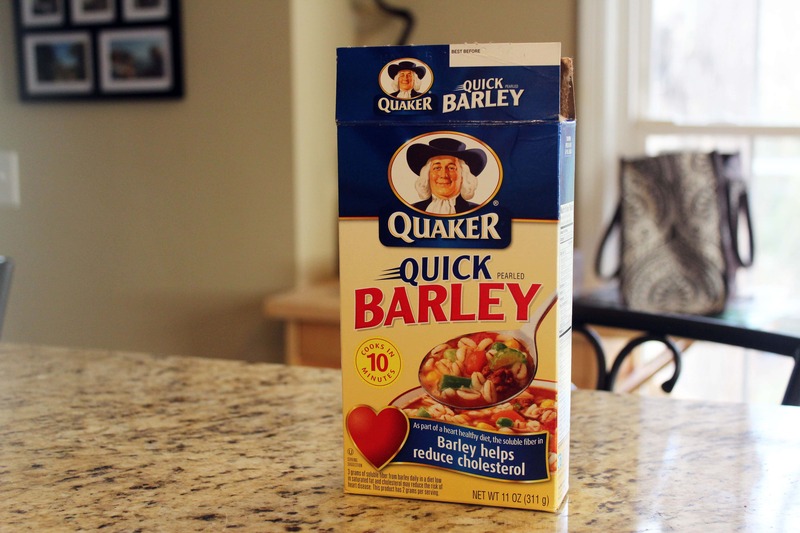 Be aware that some of these grains aren’t 12-minute cookers. 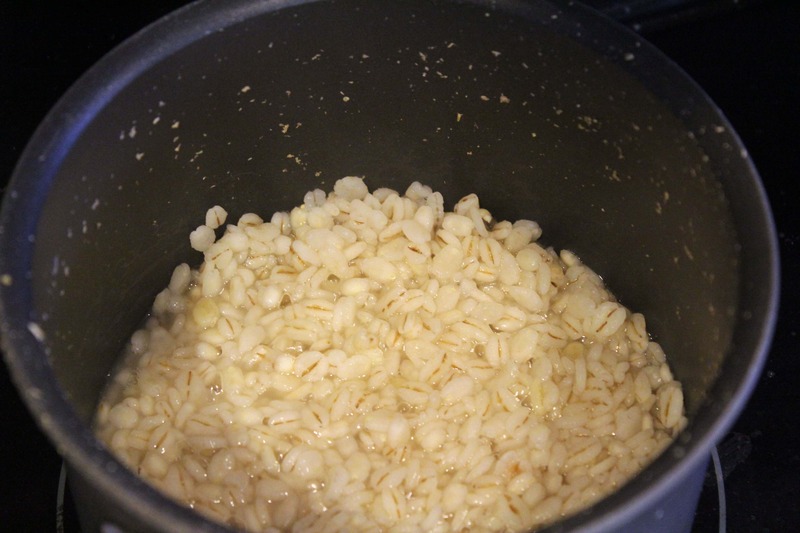 I cooked my rices in water, but you could use vegetable stock for even more flavor! Totally up to you. I put 1/2 teaspoon of salt in each grain as I was cooking it, then added more later. 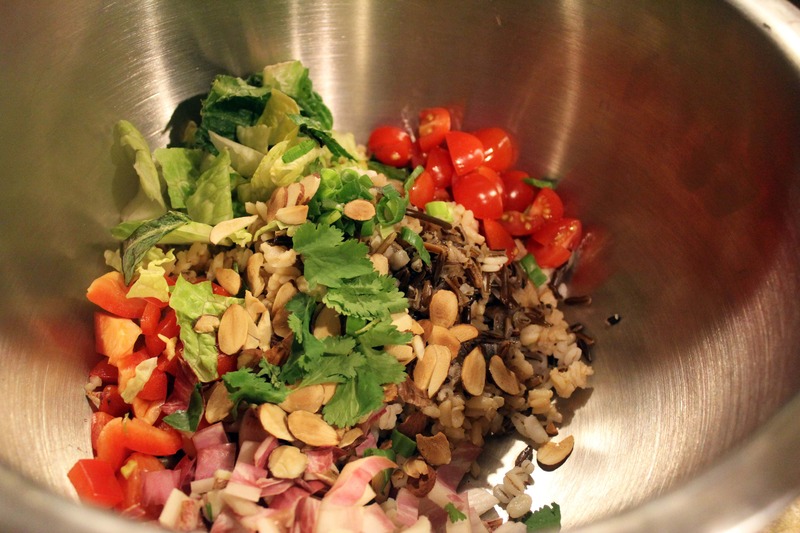 While the rices are cooking, make the dressing! 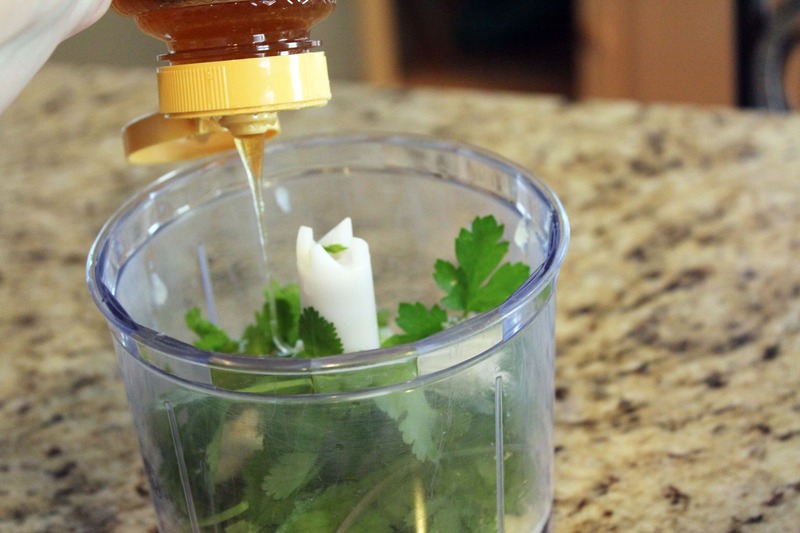 Add the herbs, lettuce, cream, garlic, and lemon juice to a blender or food processor, then squirt in the honey. 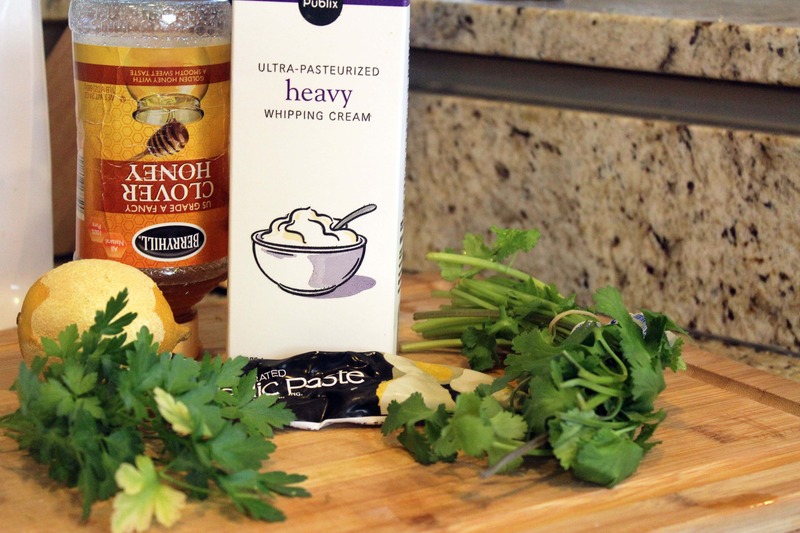 Blend the dressing until it’s super creamy, then taste. I like the sweet aspect of this dressing with the sharpenss of the herbs. 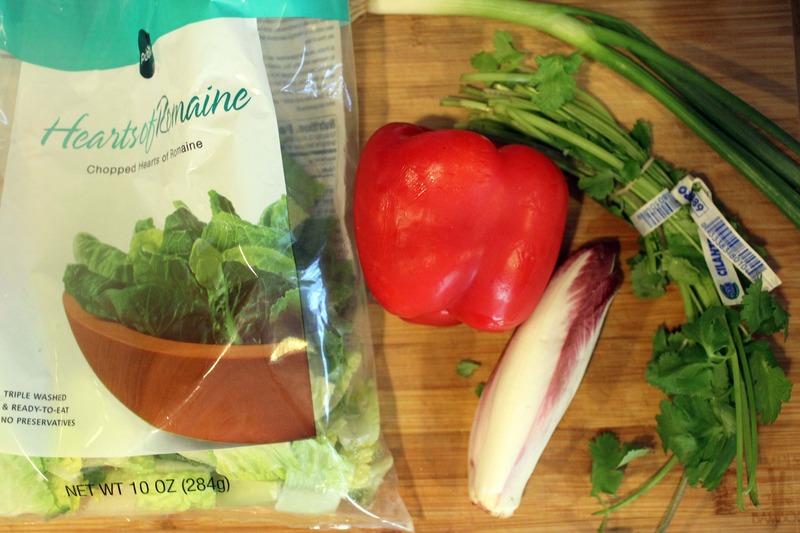 Don’t freak out about the lettuce – it adds some water and a really light fresh flavor – TRUST ME and use it! Taste the veggies and add some salt or more lemon juice if you’d like! If the dressing is very thick add water 1 teaspoon at a time and re-blend to thin it out. Toast any nuts you’re using, and grab the cheese. 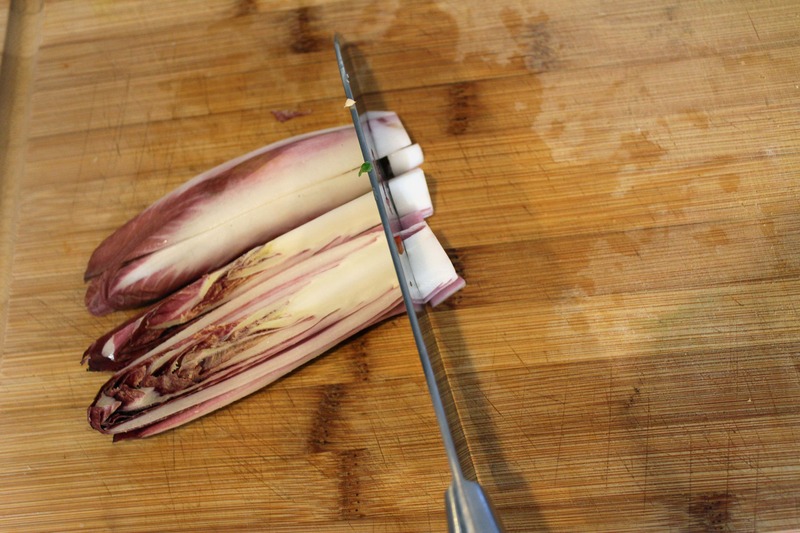 For the endive, I cut the end off, then cut the head in half, then cut the halves into little half-moon strips. Cute! Cut the peppers into little chunks. 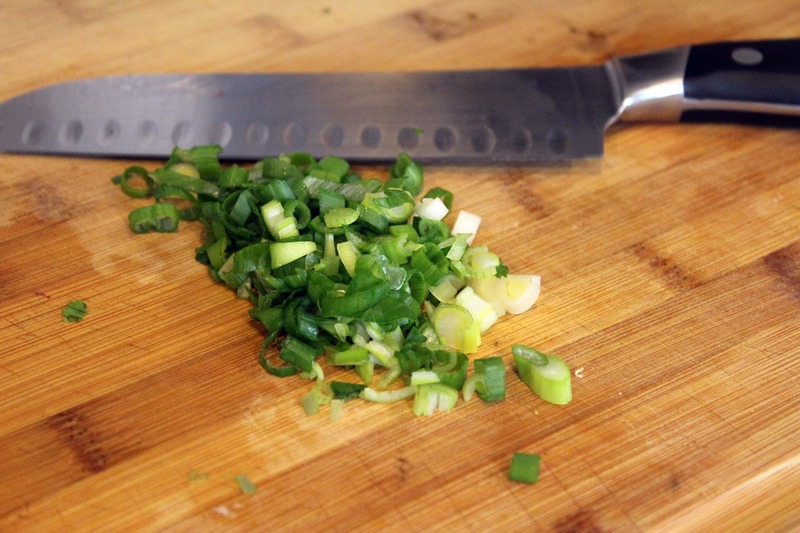 And thinly slice the scallion. For any veggies you use, cut it super small! I had pre-cut bagged lettuce, but just tear or cut any lettuce you’re using into little bits. That way, the salad will blend together really well. …and then decided I wanted to add almonds and tomatoes, so I did that too. Now, we have cooked grains, prepped veggies, and a yummy dressing! 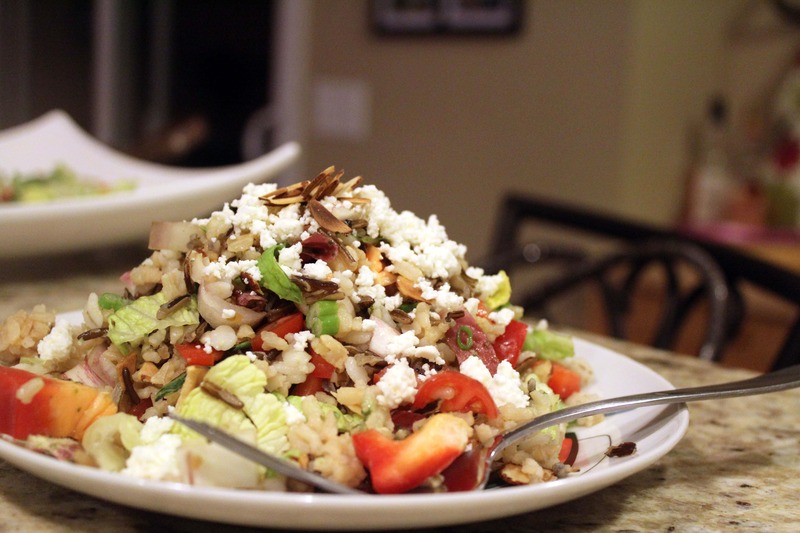 To assemble, put a small portion of grains and any veggies you’d like in a bowl. Then pour on a little dressing, and stir everything together. That’s it! I added some coarse salt and pepper to mine. And of course, extra cheese and nuts because I didn’t want this to be TOO healthy. Try this soon, friends! 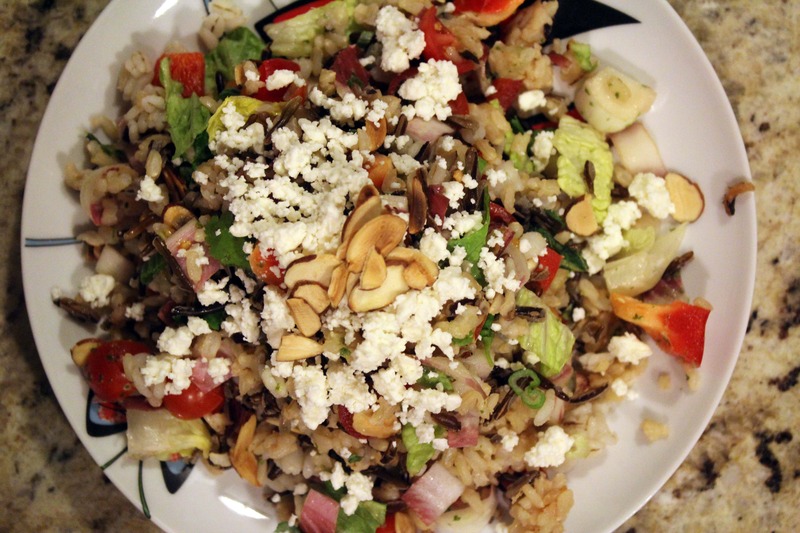 You can customize it any way you want, and it’s a treat twist on a traditional chopped salad. Trust me. Enjoy! Note on the grains: You can use anything! 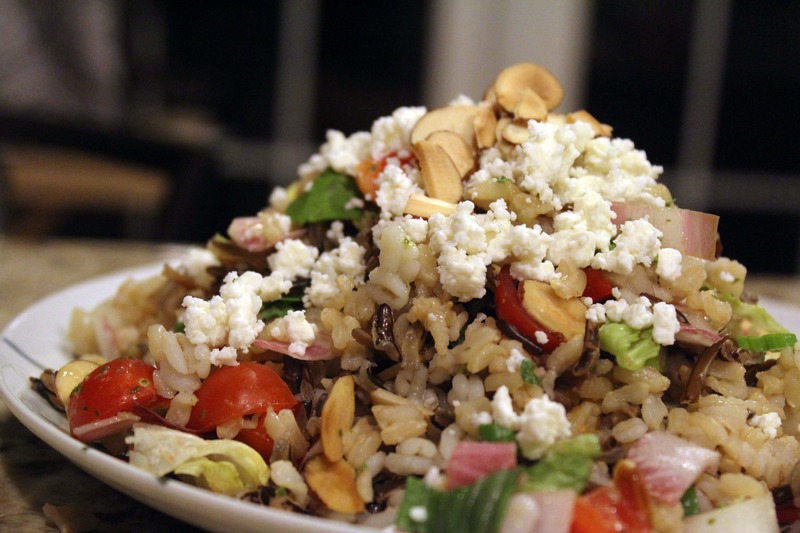 Quinoa, other rices, farro, even lentils! I’ve tried it all. Same with the veggies – use any fresh raw stuff you love! 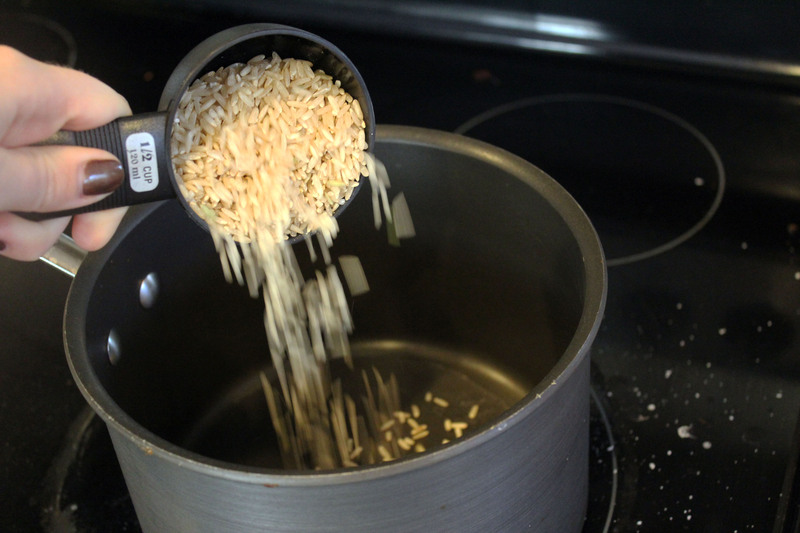 First, cook the grains according to package directions in small pots. You can do this way ahead of time! 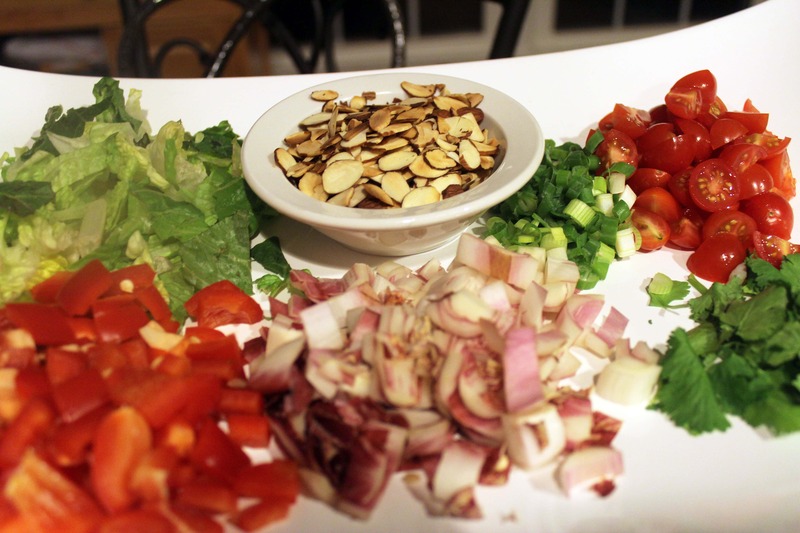 While the grains are cooking, make the dressing and prep the veggies. 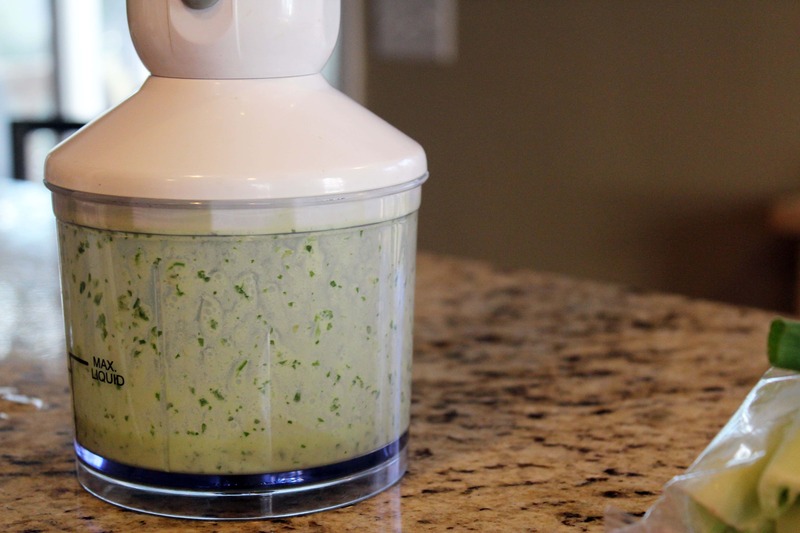 Combine all dressing ingredients in a small food processor or blender and blend until smooth. Taste, and add a drizzle of olive oil to thin it out a bit (if necessary) or a bit more salt. 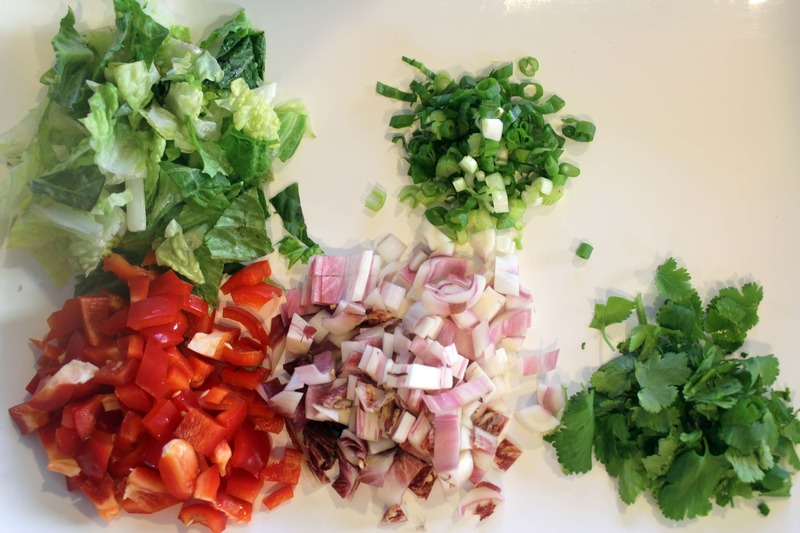 Thinly slice the scallions, lettuce, and endive. 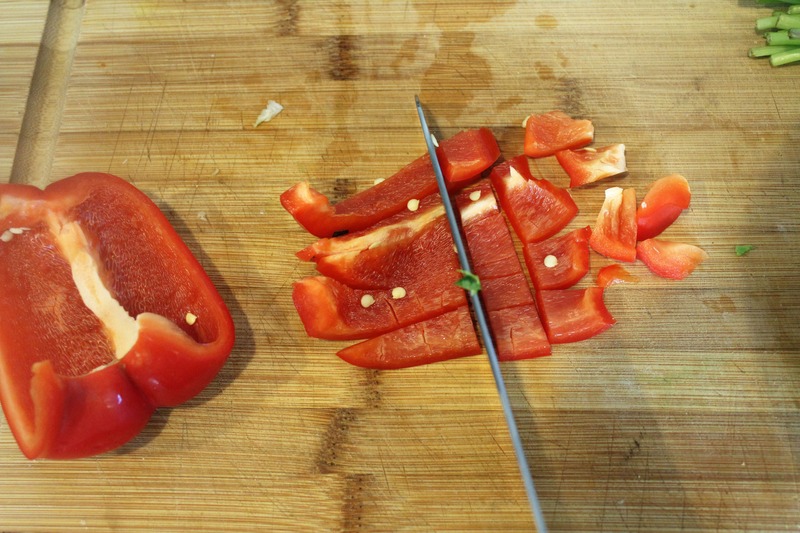 Chop the bell pepper and halve the tomatoes. When the grains/rice are done cooking, fluff with a fork and let cool for a few minutes. 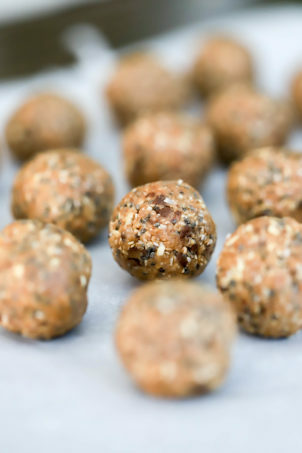 To serve, place a small spoonful of each of the grains into a large bowl. 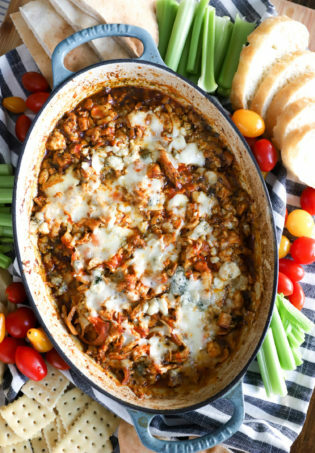 Add any veggies you’d like, and some cheese, cilantro, and almonds. Drizzle with a spoonful of dressing. 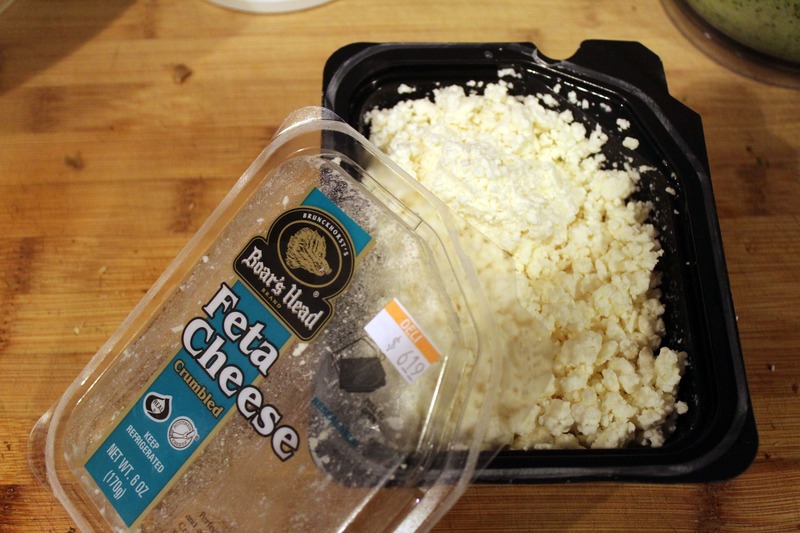 Toss gently and serve with coarse sea salt, extra feta, and extra dressing. It’s how we eat! Minus the feta. Since it’s all pre-cooked (or just needing to be chopped), makes a great go-to for a healthy dinner for the kids, who gobble it up. On the mark, FunnyLove. Thanks Shan! 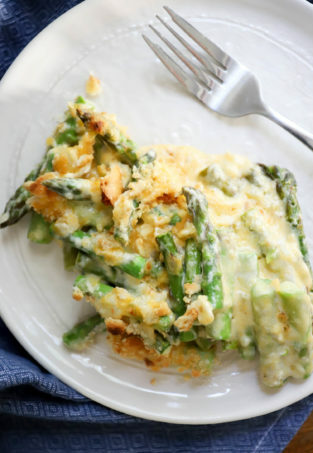 We really love this one and I agree- cooking the elements and just keeping them in the fridge makes it so handy! Is this modeled on the awesome salad from TM? The salad sounds different (I don’t recall them using all the grains), but the dressing could be similar. I would kill for their actual dressing. That’s exactly right! We love it, but its kind of expensive. They use quinoa, rice, and lentils, I believe. I like doing it at home too because its different every time!